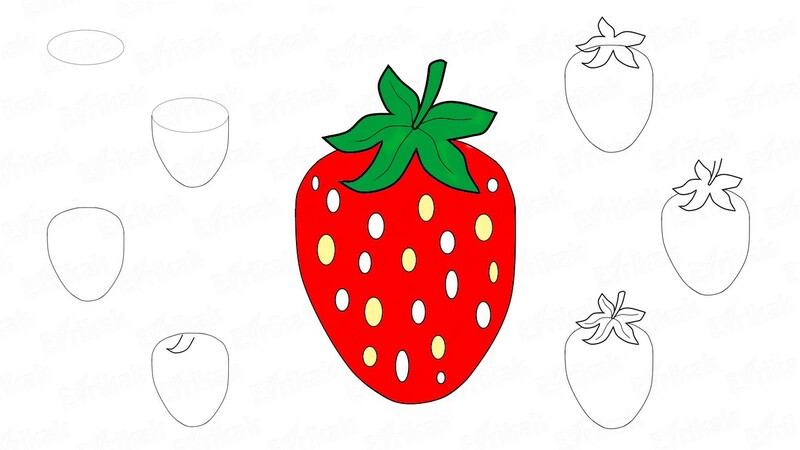 The child asks: “Show me how to draw raspberries.” You take a pencil and create a picture like a real artist… It’s not fantastic 🙂 You and your child can draw easily with the help of our step by step instruction of simple level of difficulty. 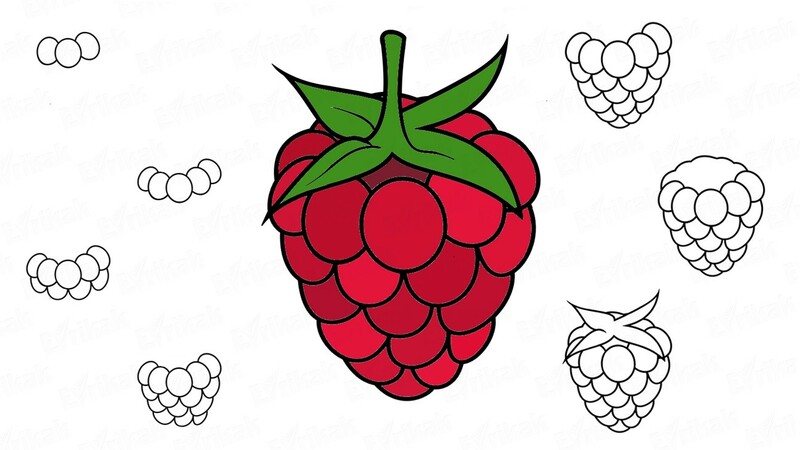 Today we are going to draw a beautiful raspberry. Can we start? 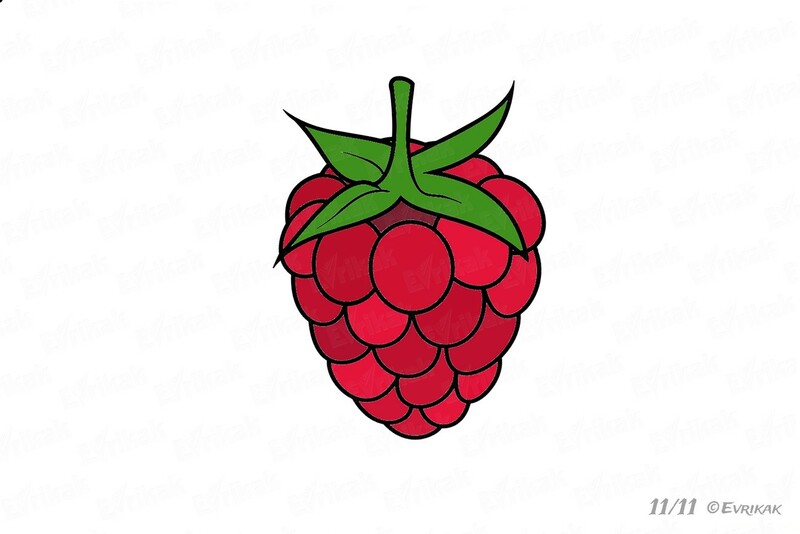 It’s a known fact that the raspberry consists of many small berries. 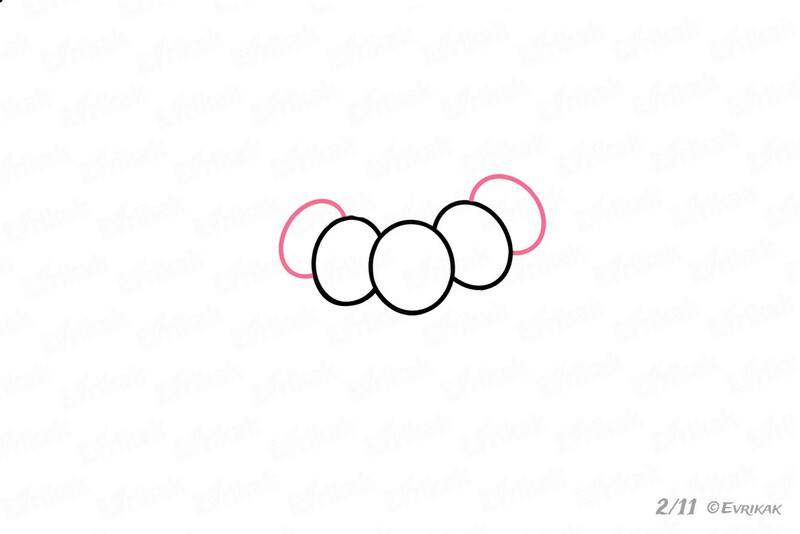 Start drawing it using three ovals of different size. 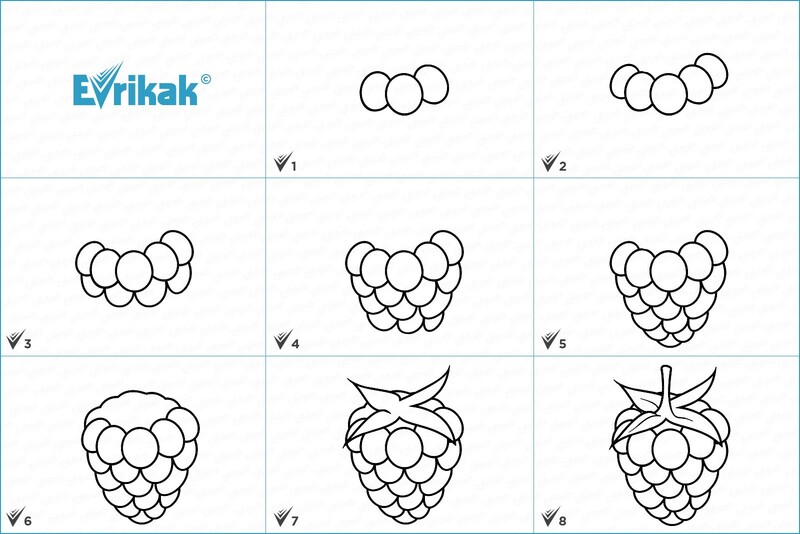 Form a small circle with the help of ovals because a raspberry has a shape of a small cap. 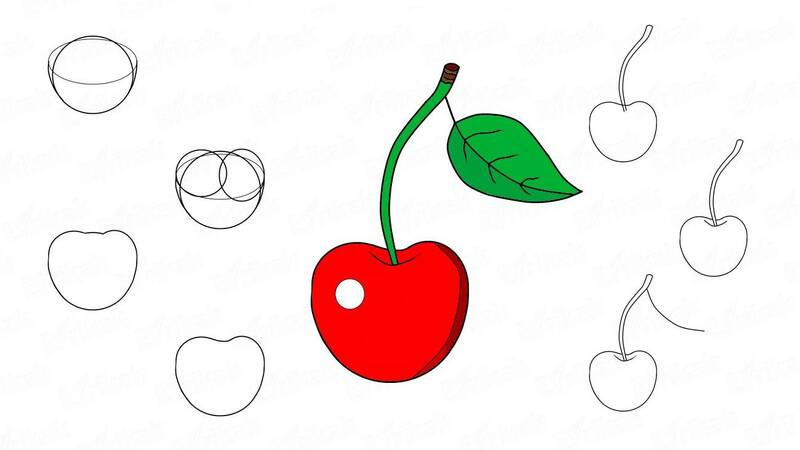 Draw the second layer in the shape of the semicircles. Their tops are hidden under the first layer. Each next layer has fewer ovals. 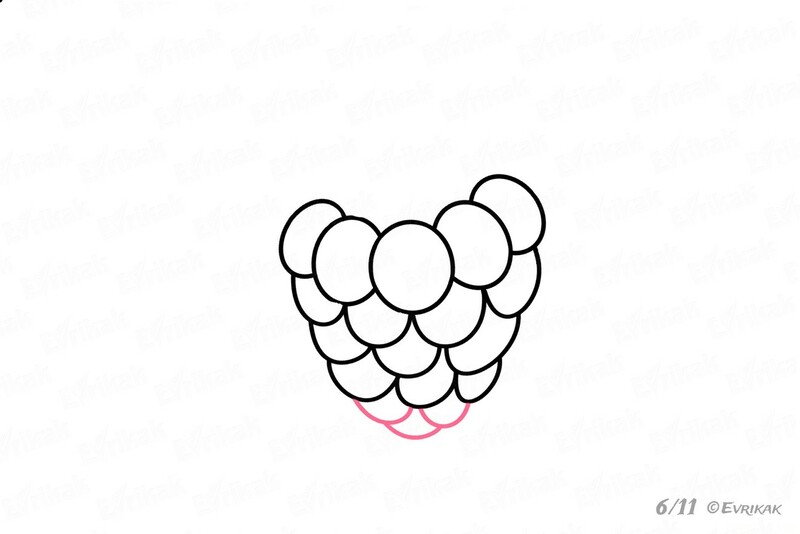 Pay attention that the berry is inverted. But, if you wish, you can draw it in reverse. 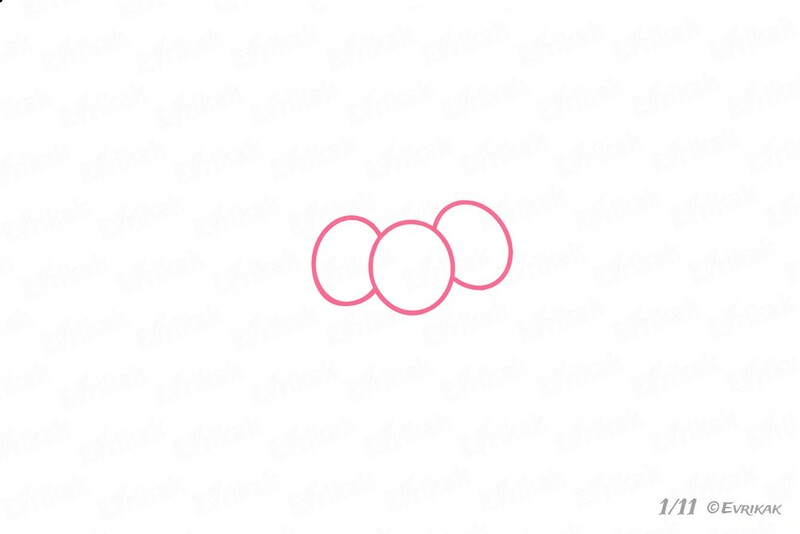 The next ovals must be also be three. 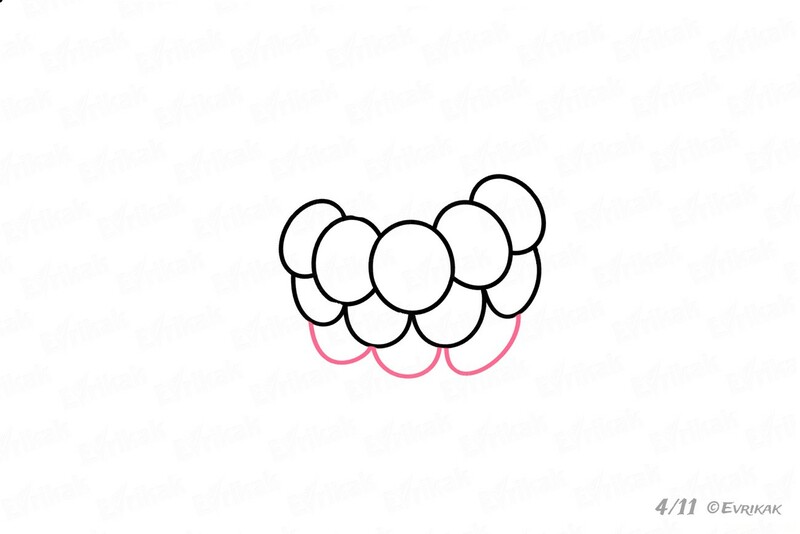 It’s because the layers of raspberry can be repeated. 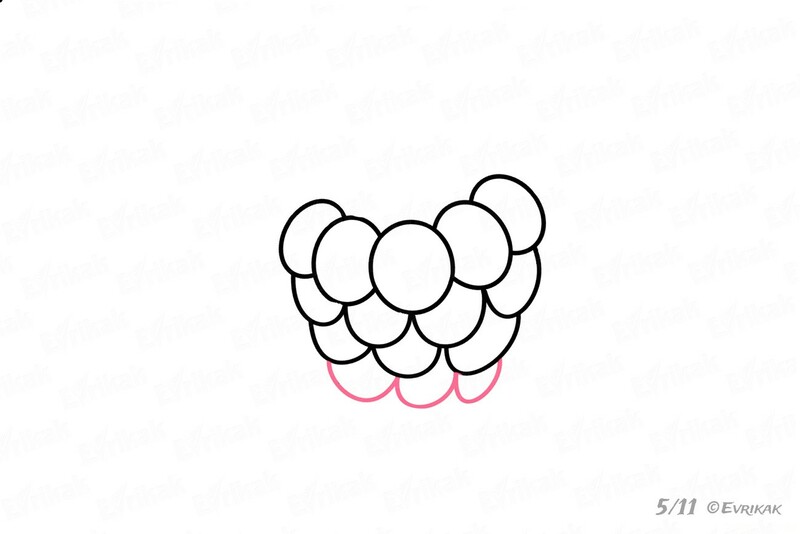 Complete the berry drawing by three barely noticeable parts of the ovals. 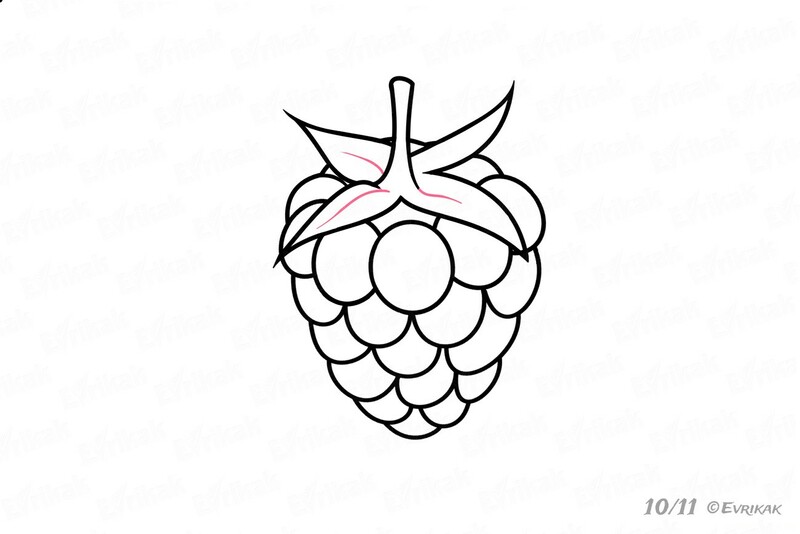 Draw a curved line on berry’s back because we can see the back of the raspberry from this angle. 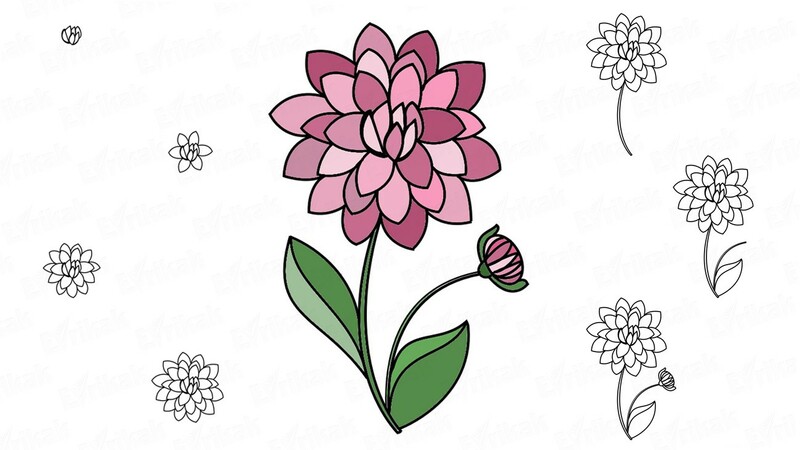 Draw four elongated leaves on the top. They almost completely cover the top of the berry. 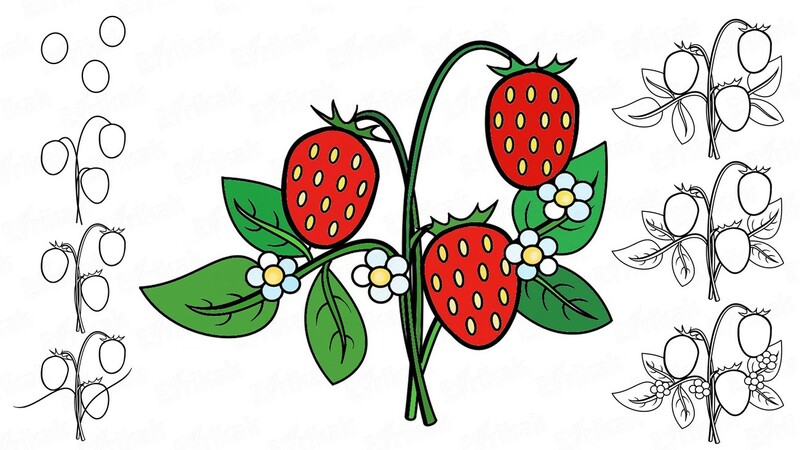 A berry is attached to the bush with the help of the stem. 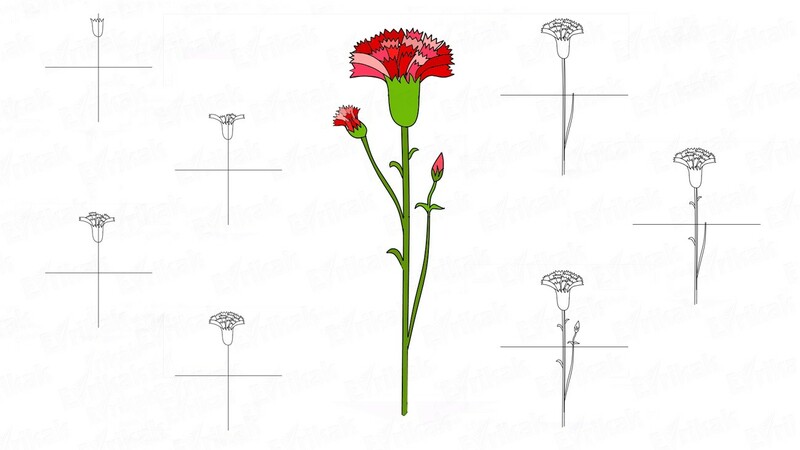 The stem smoothly goes into the leaves, that’s why don’t separate these details. 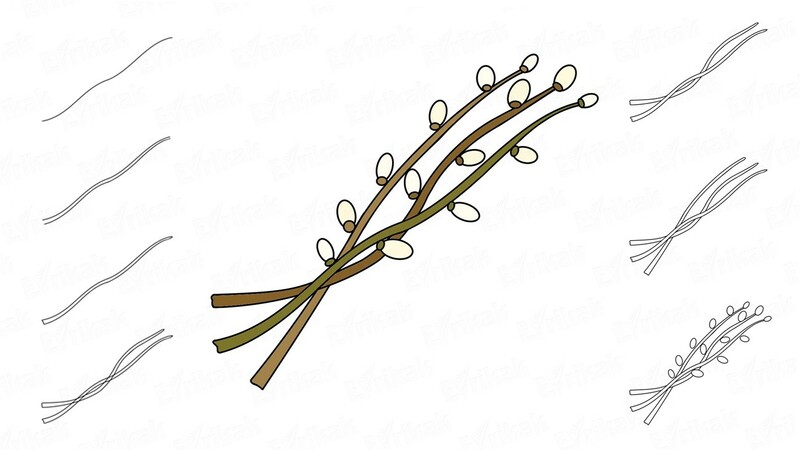 Draw the veinlets in the middle of the leaves. 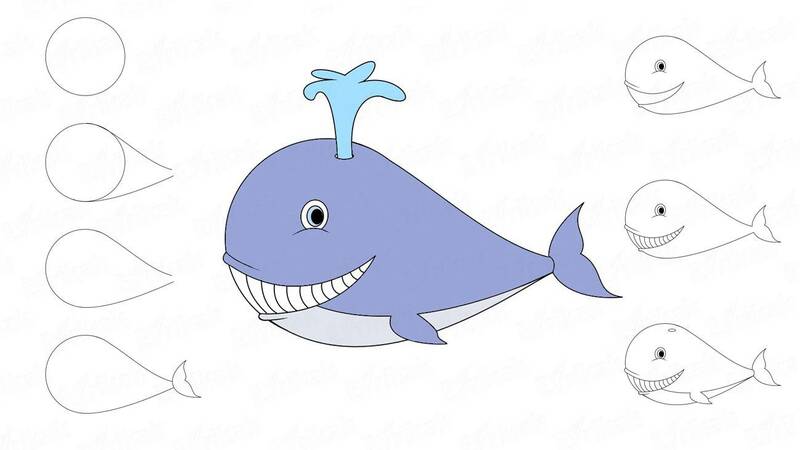 At the same time, try not to press the pencil because the veinlets are thin and barely noticeable. 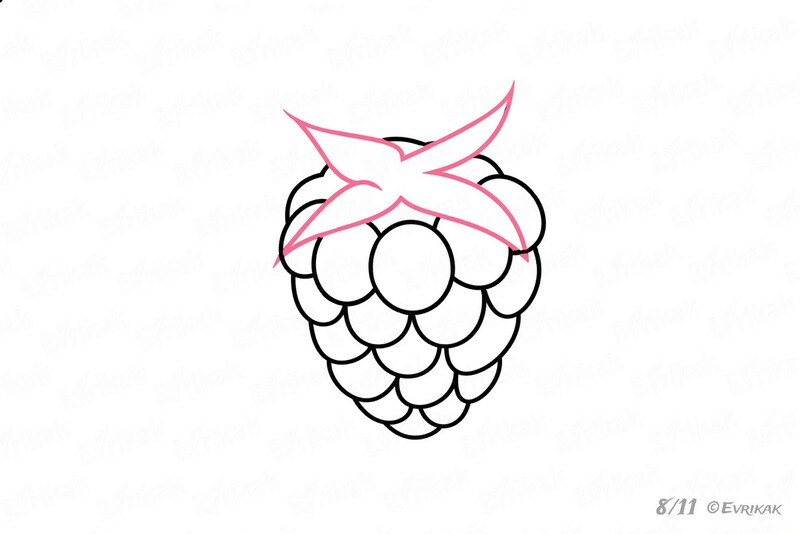 Color the raspberry in dark pink shades. Add cherry and burgundy colors in some areas. The stem and the leaves are green. 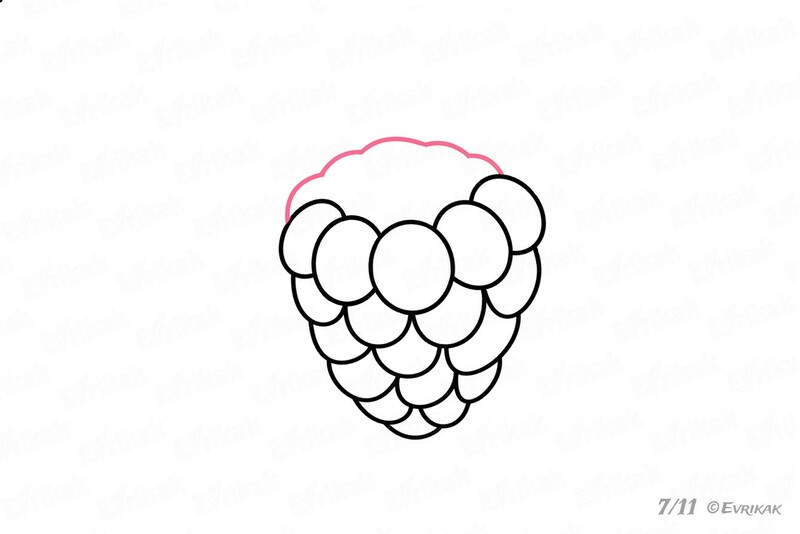 We offer to color the raspberry with the help of a filling or a marker.